You're out on a game drive when, slowly, your guide stops the vehicle, picks up her binoculars and scans the dense thicket. With a slight nod to the tracker seated out front, she reverses and points right... there, from behind a large shrub, you can just make out the first of a family elephants coming through the vegetation. Astonishingly quiet for such large creatures, you watch as one by one they come through, the little ones in the middle of the group, the rear brought up by a huge tusker that keeps an eye on everything. They’re heading to the waterhole just beyond your vehicle. Suddenly, the youngest one – which can still fit under his mom’s tummy, meaning he’s only a few months old – scents the water with a wiggle of his tiny trunk. Unable to contain his excitement, he breaks out into a little trot, catching up with the leader and forging ahead to the water. If elephants could laugh, then this little one would be giggling non-stop, his ears flapping, his trunk going in all directions as he slowly masters control of its over 40 000 muscles. The adults view his antics patiently, positioning themselves around him to protect him as they, too, slurp in gallons and gallons of fresh water with one gulp. 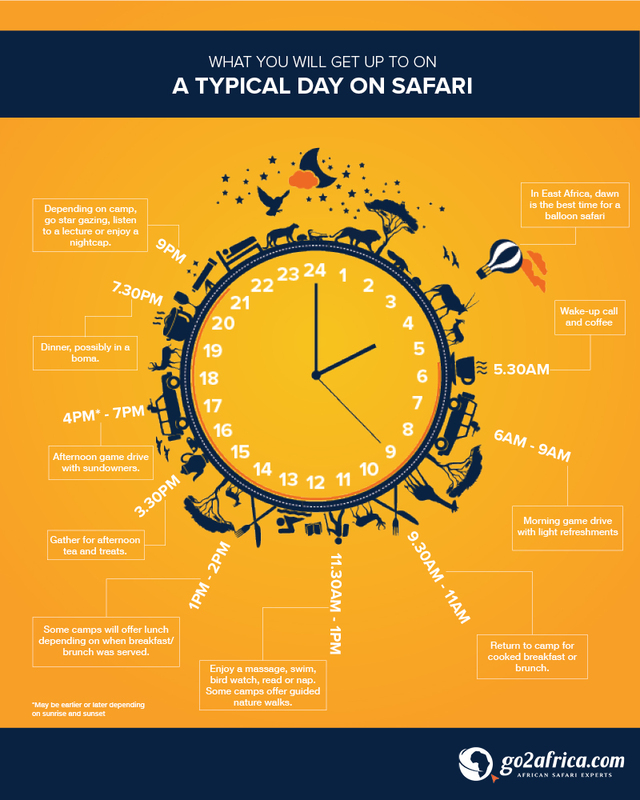 This blog and infographic explain a typical day on safari if you are staying at a traditional lodge or camp that offers game drives in a national park, private concession or conservancy. 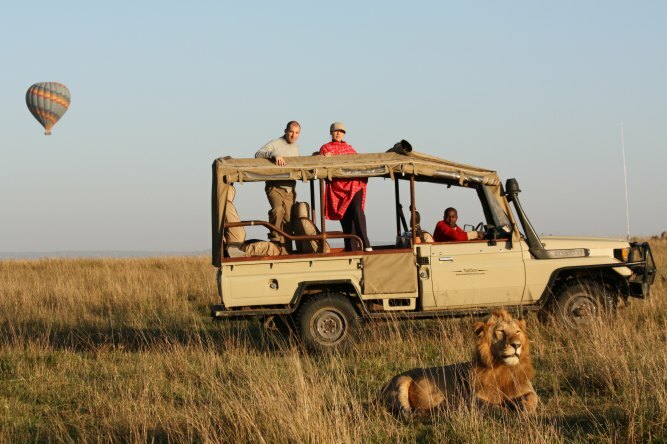 There may be slight differences based on the time of year or your location but, as a rule, safari does follow a familiar rhythm that combines thrilling game viewing with ample time to relax in between – a dream vacation in anyone’s book. Depending on what time the sun rises, staff will wake you up in time for the morning game drive, usually with a knock at the door and a tray of very welcome tea, coffee and cookies (they generally confirm the time and your order the night before at dinner). It will be cool, so dress in layers. It helps to lay out your clothes the night before so you don’t waste time getting dressed in the morning. Find out what to pack for your African safari. Although you may set out before first light, there is something magical about being out in nature as the moon sets and the sun comes up. The dawn chorus of birds is wonderful in Africa and this is a great time to see nocturnal hunters like lions and leopards bedding down for the day or, in the case of lions, finishing off the last of their kill (leopards will stash theirs in a tree). Animals like elephants, gazelle, antelope, buffalo and giraffe will all starting moving to waterholes to quench their thirst. Their reflections in the water in the soft morning light make for beautiful photos. Wild dogs will try to make a kill now before it gets too hot and exhausting to chase down prey in the heat. Your guide will generally serve coffee, tea and more cookies during a refreshment break during your drive. If you are going hot-air ballooning (mostly in Namibia, Kenya or Tanzania), you will also have to get up early as dawn provides the best conditions (winds are usually at their lowest in the morning). In private concessions and conservancies you can head out at any time; in national parks and reserves, you will have to wait for the gates to open. A balloon safari is best in the early morning when winds are at their lightest. After you land, a vehicle will pick up your group for a game drive back to your lodge. Dress in layers - it can be quite chilly at dawn. By mid-morning it will be too hot to be out (especially in South Africa where game-drive vehicles generally don’t have roofs) and the animals, having quenched their thirst, will be retreating to shade and will be hard to see and photograph in the dappled light. You will always have refreshments during your game drives. In the morning, expect hot coffee, tea and juice with cookies or muffins. Sometimes your lodge might surprise you with a full breakfast out in the bush! 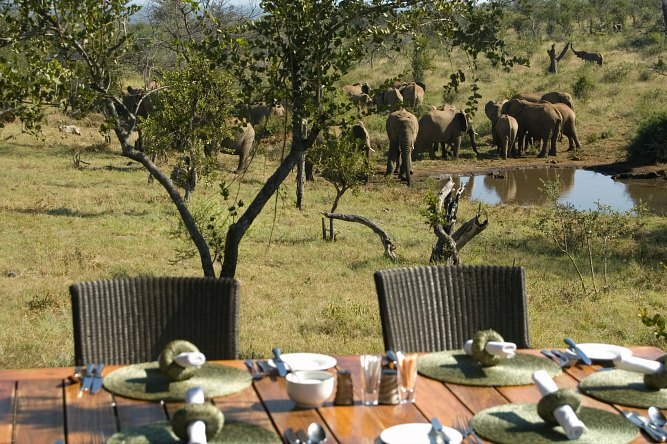 If you don't have a bush breakfast, then brunch will often be served when you are back at the lodge. This is generally buffet style and consists of hot and cold dishes. After breakfast or lunch, do as you please. Take a book down to the pool, go for a massage or pedicure, hit the gym or – frankly – have a nap. 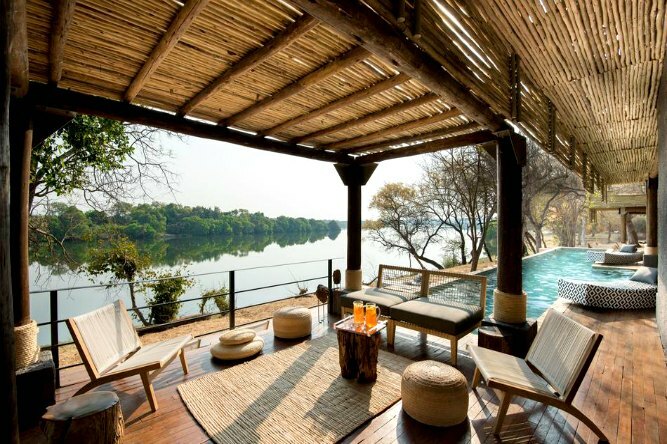 What you do will depend on the lodge’s facilities so if you like having lots of choice, ask your Africa Safari Expert to recommend accommodation with a spa, gym, pool, library, media centre, Wi-Fi, guided walking trails, kids’ clubs and so forth. Not all camps have these elements. After brunch or lunch, have a siesta, swim, read, edit your photographs, watch birds or write in your journal. If your lodge has a spa, consider a massage or pedicure. 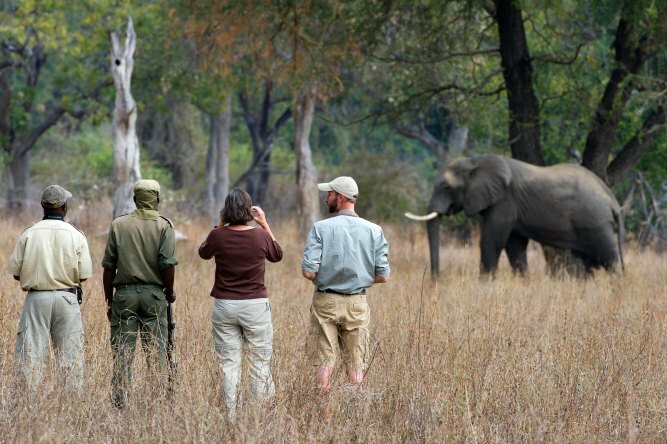 Depending on the time of year your safari takes place and your lodge's schedule, guided nature walks could replace a morning game drive or take place after breakfast. Wear closed shoes, long trousers, sunscreen and a hat - even in the mid-year winter, the sun in Africa can take its toll. If you had an early breakfast, midday is the time for lunch. If you had a late brunch, then many camps will forego lunch – clients often say they put on a few pounds during their vacation because of all the delicious kinds of food served on safari! After lunch, a nap is hard to beat, as are a few laps in the pool or catching up with editing your photos. Lots of safari goers take the time to read up on the habits and behaviour of the animals they saw on their morning drive. At about 3pm, start to get ready for your afternoon game drive – gather your binoculars, refill your water bottle, put in your drinks order for sundowners and, if its winter, be sure to take your scarf, gloves and beanie – it will get chilly once the sun goes down. 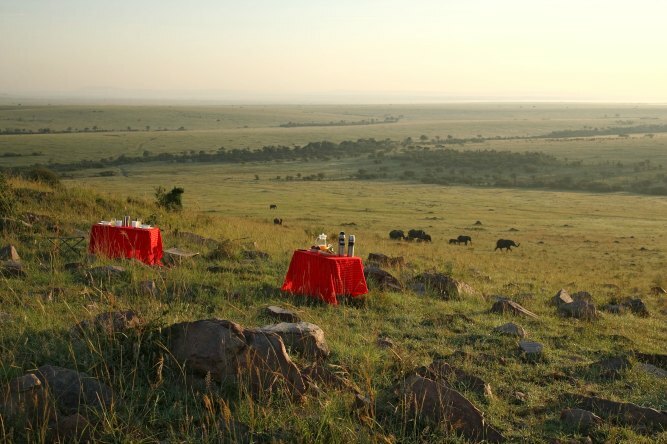 High tea is a venerable safari tradition that harks back to the unhurried days of the 19 century. 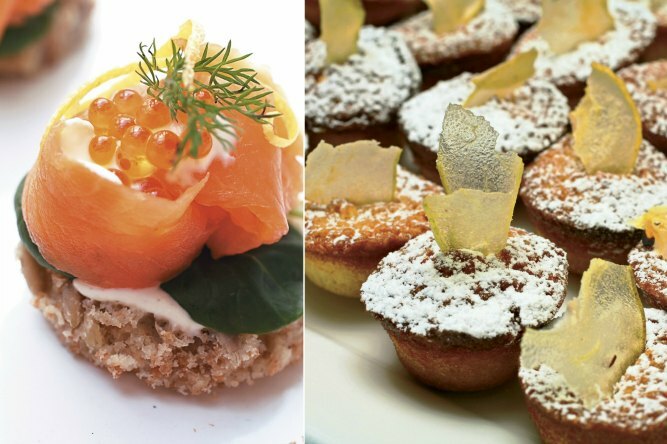 Depending on the camp, you will nibble anything from chocolate cake and scones served with cream to tiny savoury sandwiches and petit fours. Even if you aren’t hungry, do munch a few things – dinner is a long way off and you don’t want to get hungry on the game drive. Refreshments will, of course, also be served on the evening game drive at a lookout spot. High tea is served in the mid-afternoon before your late afternoon game drive and comprises tea, coffee, soft drinks, cakes, biscuits and savoury snacks. It is finally cool enough for the animals to become active again: slowly they emerge to drink at waterholes and lions that have strayed away from the pride will start contact calling to find each other again for another night of hunting. 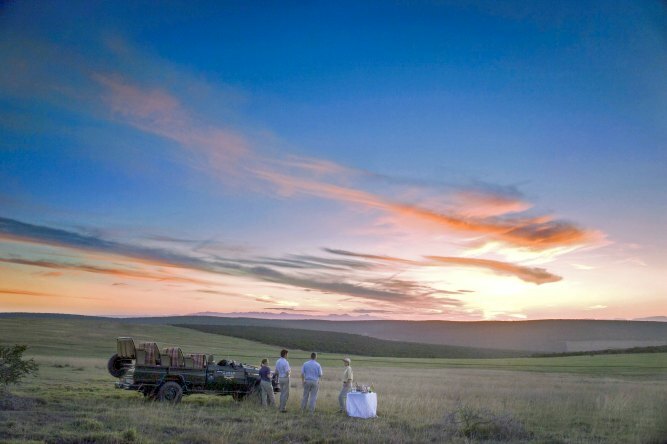 A major safari traditon is ‘sundowners’ – drinks and snacks enjoyed halfway throught the afternoon drive at a scenic spot or lookout. The closer to the equator you are, the shorter the sunset will be so have your camera ready. If you are in a private concession or conservancy, you will be able to stay our after dark and use a spotlight to look for nocturnal animals on the drive back to camp. Those in national parks will have to be out of the park by dusk, when the gates close for the night. Remember that mosquitoes are most active at night so wear long trousers and sleeves, and use an eco-friendly repellant. They are attracted to black and blue so avoid these colours in the evening (or don’t even bother packing them – greens, greys and browns are always best). The afteroon game drive will always include 'sundowners' - G&Ts (gin and tonics) are traditional but try a local beer or another safari favourite, Amarula liquer on ice. Savoury snacks will be offered that often include roasted cashew nuts, dried sausage and biltong (a cured meat). You may not think you’re hungry but there is something about being out in the fresh air that stokes the appetite. Depending on your accommodation, dinner may be a buffet, plated or á la carte but is generally a multi-course affair accompanied by wine. 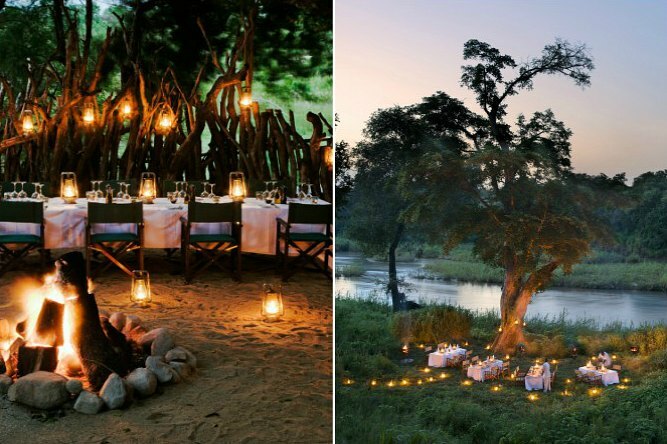 If the night is clear, it may be served in the boma, which is a traditional open-air area around a warming campfire. 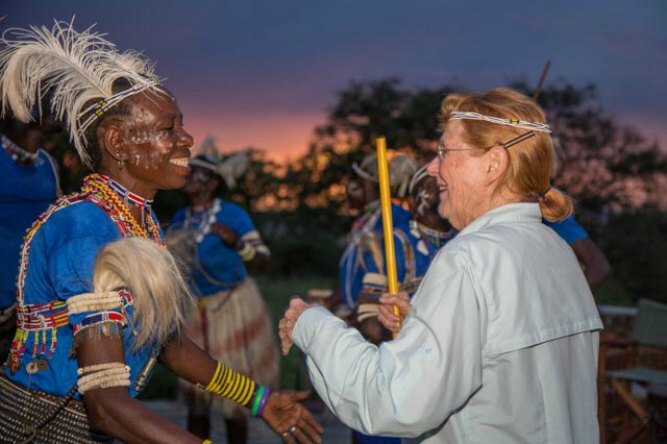 The staff often sing, dance and drum in the boma before dinner – if they call you up, just go with it! When next will you be singing and dancing under the Milky Way in Africa? Dinner is one of the highlights of safari: gather around the campfire in the boma and enjoy a great meal under the stars. We love music in Africa, and the staff will often sing and dance before dinner. If they call you up to join them, don't be shy! With such an early wake-up call, most people head to bed after dinner. 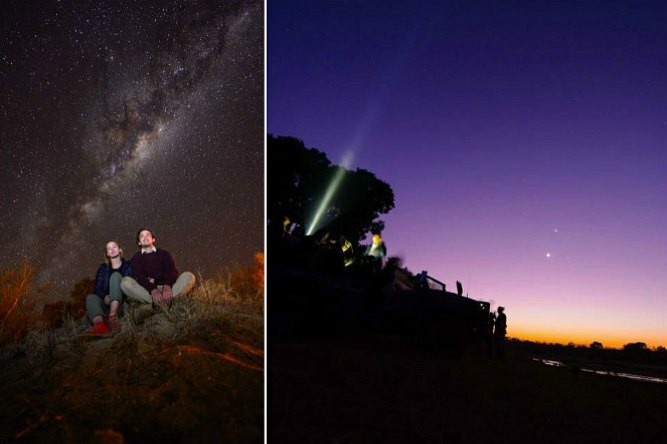 Some camps may offer stargazing with a telescope or a lecture by a specialist guide or researcher but most just allow you to enjoy the peace and quiet of the African night (except for those whooping hyenas and chortling hippos in the distance). For many people, one of the best things about safari is that you don’t really need to make many decisions. Unlike in a city when you have to decide when to eat, where to eat, where to go and what to do, safari has a built-in rhythm that is very relaxing and, if I may say, totally addictive. The combination of early mornings, great food, fresh air and a good night’s sleep is food for the soul. Thanks to little light or air pollution, the night skies in Africa shimmer with millions of stars. Some lodges will have high-powered telescopes for stargazing before bedtime.